It's days like this that remind me why I thought moving to LA was a good idea. 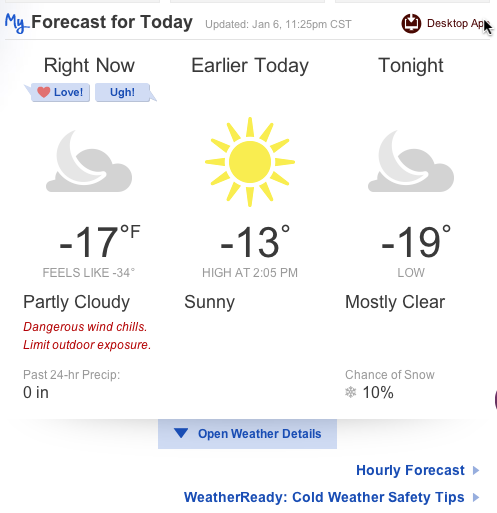 In Minnesota today it is -17F and it feels like -34F. I can assure you, from experience, that one simply does not feel anything at those temperatures. Except maybe the depths of one's despair.